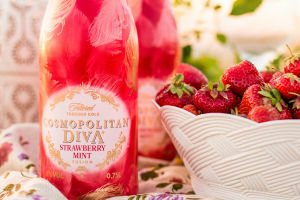 Amber Beverage Group extends its Cosmopolitan Diva® sparkling range with the launch of the new Strawberry – Mint version. This is the latest addition to the Cosmopolitan Diva® brand line, launched in 2014 as the first ever sparkling beverage filtered through a gold filter for an additional smoothness of the ready liquid. This sixth line extension features the true taste of summer, reflected in the strawberry and mint flavours. The Strawberry – Mint flavour combination of Cosmopolitan Diva® sparkling is already available for consumers in the Baltic markets and will be followed by Israel, and other markets later this year. Global brand manager Renatas Alekna reveals that the new, strawberry taste, is created in line with the latest consumer trends and demand for sweet and “fruity” flavours, balanced by the addition of mint – a popular ingredient of many refreshing cocktail recipes. 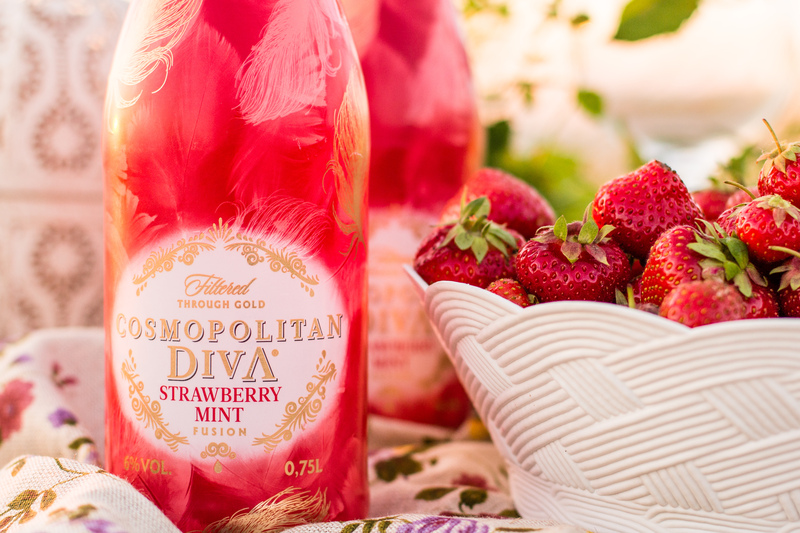 According to local consumer study data, Strawberry Mint was selected as the most preferred new variant for the Cosmopolitan Diva® portfolio. Cosmopolitan Diva® with Peach notes is the most popular flavour with Estonian (Lithuanian) consumers, followed by Berry fusion. The Cosmopolitan Diva® sparkling line is now available in Classic, Berry, Melon, Red Apple and Strawberry-Mint flavours, as well as in a non-alcoholic and kosher version. In 2016, the beverage was awarded the “Superior Taste Award” by the International Taste & Quality Institute in Brussels and also received the WSWA Silver award. The Cosmopolitan Diva® line beverages are currently available in 13 global markets.